Infinite Dance Studios director Christie Walter has a passion for movement. Infinite Dance Studios director Christie Walter has always had a passion for movement. “Apparently I was always moving so my mum just enrolled me in a dance class,” the 33-year-old from East Geelong says. Christie and her fellow teachers at Infinite Dance Studios pride themselves on nurturing learning, individuality and self-confidence. Parents saw this for themselves late last year during three performances in the studio’s annual show, IDANCE 18, which Christie directed. “It’s amazing seeing our students grow as dancers and we get to see them grow as people too,” Christie says. Christie joined the studio as a 20-year-old student under then-director Fiona Luca-Kingsbury. She started teaching for Fiona in her second year, taking on more challenges each year. “It’s been amazing seeing her success as I’ve been right there beside her the whole time,” she says. 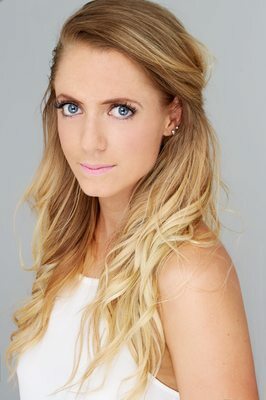 The jazz, tap and ballet teacher took over for Fiona in 2017. The school has grown from 33 students in 2006 to 308 in 2018. “We’ve already got 300 students for 2019 before classes have even commenced,” Christie says. Infinite Dance Studios has two fully-equipped studio areas, a kitchenette, toilets and change rooms, for students. Christie thanks the wonderful families that have supported Infinite Dance Studios for the past 13 years. “And we look forward to seeing lots of old and new faces for the 2019 dance year,” she says.